Proflight Zambia has temporarily suspended its service between Lusaka and Harare with effect from 29th January 2019. Proflight’s Director of Government and Industry Affairs Captain Philip Lemba who announced the development said the airline expects to resume flights from March 1st. “We regret to announce that due to the current situation in Zimbabwe and ongoing challenges with the repatriation of funds from Zimbabwe we are temporarily suspending our Lusaka/ Harare route effective 29 January until 1st March”, he said. Captain Lemba said all passengers will be refunded in full for tickets purchased for travel during this period. 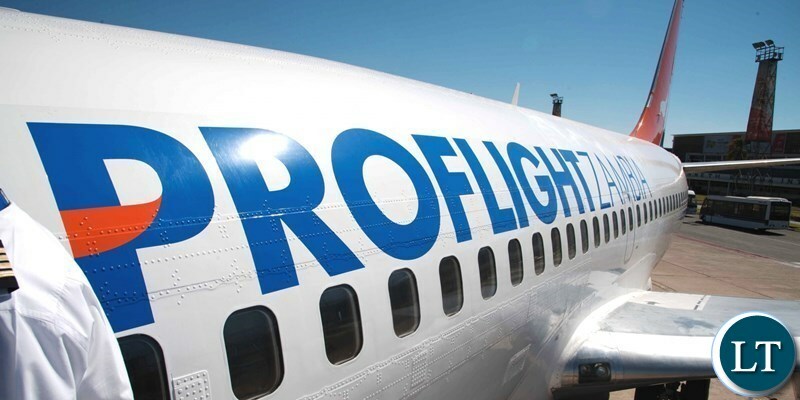 Proflight Zambia In July last year launched the route from Lusaka to Harare aimed at boosting passenger movements and connectivity between the two capitals. The introduction of the new flight to Harare from Lusaka made Zambia’s leading domestic airline Proflight Zambia the only airline servicing the route with early morning flights 4 times a week. This is where Nason Msoni comes in.